As a midwife, I always advise parents to ensure their babies are warm and comfortable. However, not too warm! Overheating in babies is a major contribution to SIDS and no baby will settle if they are too warm or the opposite, too cold! The car and pushchair are common places where you need to make sure your little one is warm and snug especially as we are heading, according to forecasters for the coldest winter this century! I enjoy working with the team at Puckababy-they have some wonderful products for keeping your baby safe and snug both at home and when out and about. Here is an article I wrote for them in At Home magazine. According to the UK Department of Transport, 60 to 80% of all car seats are used incorrectly, with harness tension being the most common problem. This is a particular issue in winter as it is hard to tell whether you have a good harness fit if your child is wearing a thick coat or snowsuit. For a car seat harness to work properly, the straps need to be flush and secure against your child’s chest. When a child wears a snowsuit or thick coat the straps are usually adjusted to the thickness of the coat, not the chest. If the car was to be involved in an accident the coat would compress, making the straps too loose and reducing the level of protection for the child. So how do you know if the harness tension is correct or if a coat is too bulky for in car use? Strap your child back into the car seat-but do not adjust the straps. Do the Two Finger Test. If you can fit more than two fingers underneath the harness at your child’s shoulder bone, the harness tension needs to be tightened or avoid using the coat in the car seat. If you do choose to strap your little one in their car seat wearing a coat or snowsuit, you must ensure you pull the straps very tight. However, this will have an impact on their comfort and freedom of movement resulting in an unpleasant journey for all! The child will also be too hot once the car has warmed up. If you tried to place your child wearing a thick coat in the car seat with the harness adjusted for their normal indoor attire, it would virtually be impossible. This usually results in loosening the straps therefore becoming a danger. Parents can simply place a blanket over the top of their child, but for younger children prone to kicking their legs this can easily fall off. Puckababy have come up with the perfect solution in the form of their Go Go! It is a beautifully snug, shaped wrap, which is simply placed in the car seat, with slots for the harness straps to pass through. Your baby is then strapped in as normal with their indoor clothes on; the harness is then adjusted to give the perfect secure fit. Once this is done you simply wrap the Go Go around your bay keeping them snug and warm. Additionally the Go Go has enclosed feet so your little one has the freedom to kick about while still being cosy and safe. A pleasant reassurance for mother and child. 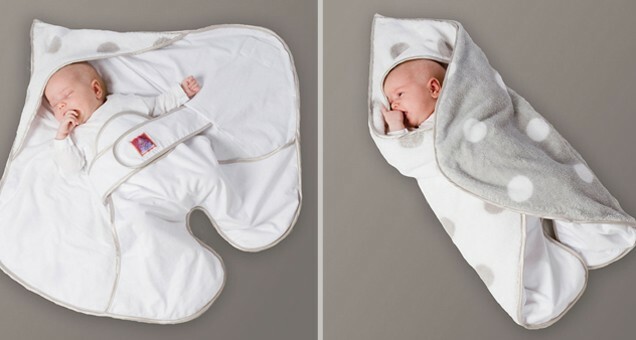 It’s the perfect wrapping blanket keeping your little one warm from top to toe. With regards to over heating you can simply loosen the wrap or open it up completely once the car has warmed up. The Go Go acts as an ideal wrap for both inside and outside, perfect for when feeding, after bathing or swimming, in the pram, car seat or carrier. Visit www.puckababy.co.uk for more info on all of their products including the Go Go. 10% discount with voucher code PUCKAGIFT.